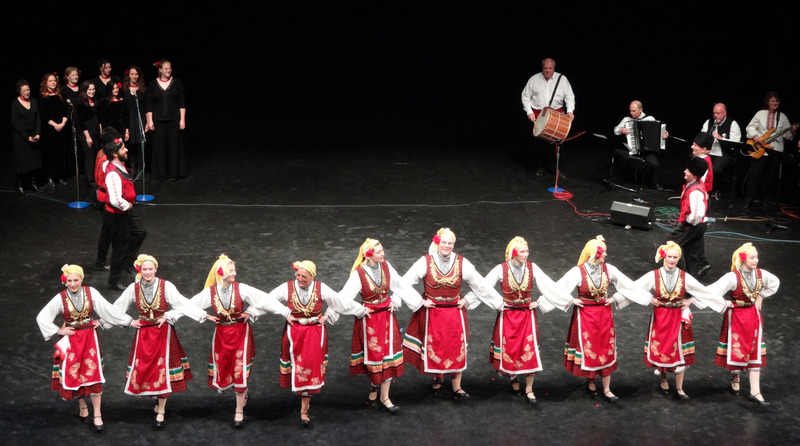 This year marks the 40th anniversary of The Radost Folk Ensemble, a local group dedicated to the music and dance of Eastern Europe. Radost was formed by a group of singers, dancers, linguists, folklorists, and ethnomusicologists with an aim not just to replicate a community, but to create community through the joy of music and dance. The Radost 40th Anniversary Concert and Party takes place this Saturday, April 30, at 7 PM at the Shoreline Conference Center. The concert will be followed by an after-party with drinks, music, and the opportunity to dance with the ensemble members. SeattleDances recently spoke with Sidney Deering, Radost’s artistic director, to discuss the upcoming anniversary show. In the 40 years since The Radost Folk Ensemble was first founded, ensemble members have toured the Balkans, performed school outreach, and taught summer camps with both Spectrum Dance and Teatro ZinZanni. The troupe has performed choreography from Hungarian State Folk Ensemble’s director Sandor Timar, the State Ensemble of Macedonia, Ensemble Tanec’s director emeritus Atanas Kolarovski, and Ensemble Varna of Bulgaria’s lead choreographer Dr. Petar Angelov. Deering herself has won the Gordon Ekvall Tracie Memorial Award from the Ethnic Heritage Council, which is given to ethnic performing artists for contributions to the development and presentation of traditional arts in the local Seattle community. But perhaps their most impressive accomplishments are the generations of dancers that have participated in the ensemble over the years. In this weekend’s anniversary show, multiple generations will dance together, parents performing alongside their children, making Radost not just a community, but a family. 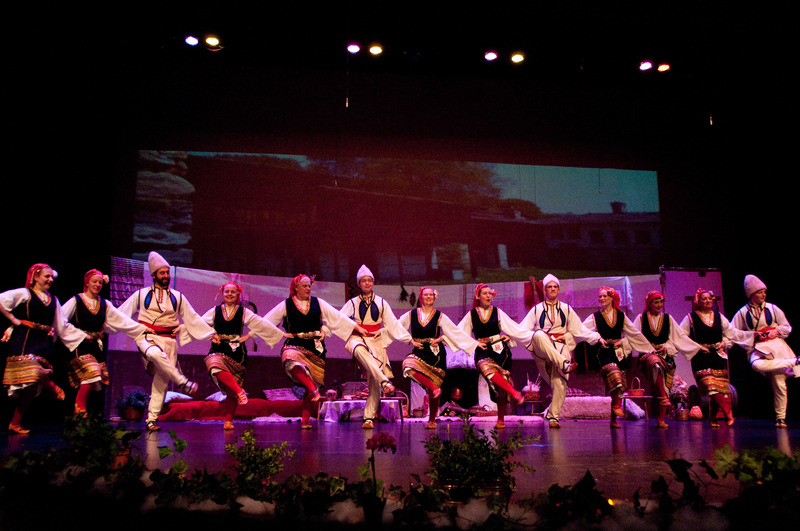 The word “radost” means joy, and that theme is the foundation of The Radost Folk Ensemble. Join them for their performance and after-party, and you will no doubt experience it yourself. Deering offers a hearty “Dobro doshli! Welcome!” to all who wish to experience the joy. Tickets for the Concert and party are available here. More information about The Radost Folk Ensemble can be found here at their website.